Breaking beer down to its basics, emphasizing flavors of single malts and hop varieties, brewers ended up with SMaSH, for Single Malt and Single Hop. Styles like Pilsners, Lagers, and IPAs work better as SMaSH beers, but the style chosen by our participating brewers is entirely up to them – and we wouldn’t have it any other way. Stop by for a chance to taste unique creations from more than a dozen Central Oregon breweries. SMaSH is an acronym for "Single Malt and Single Hop". Why SMaSH? The idea is to break brewing down to its basic elements and emphasize the flavor of a single malt and single hop variety. SMaSH emphasizes the flavor of a single malt and a single hop, letting both the brewer and you understand what each bring to the beer. Some styles like Pilsners, Lagers, and IPAs work better as SMaSH beers than others do, but the style chosen by our participating Oregon brewers is entirely up to them, and we wouldn't have it any other way. 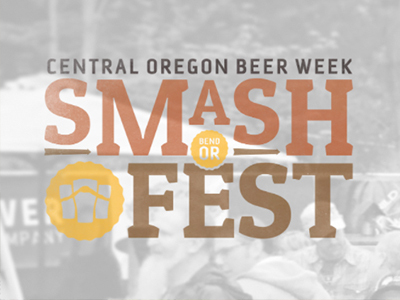 Stop by our SMaSH Fest for a chance to taste every one of these beers!